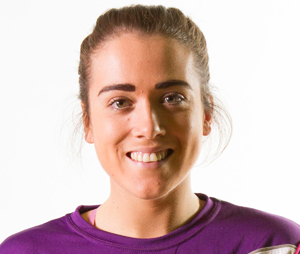 Loughborough Lightning picked up their fourth win of the 2016 Vitality Netball Superleague on Saturday as they defeated Yorkshire Jets for the second time this season. Loughborough Lightning took on Yorkshire Jets at Loughborough University Netball centre, and after an incredibly close first half were able to pull away with a decisive 52-39 victory. Last week, Lightning faced a difficult Bath side away who gave the team their biggest challenge of the season so far. Full of passion from their defeat, the Lightning ladies were surely set to make their mark on visiting side Yorkshire Jets. The last time the two sides met was in January, where the girls in purple pulled away with a huge 34-65 win. The game was quick to come into action with Natalie Panagarry starting at centre. Vanessa Walker was on fire as she moved the ball up the court into Peace Proscovia’s safe hands to put away the first points of the game. Jets seemed to be on good form, managing to keep level with Lightning for the first five minutes of the game. Hannah Joseph was extremely impressive in providing the offensive players with the ball in what was a very aggressive start for the home side, and Panagarry at centre was a standout player in the first quarter of the game. Lightning kicked off the second quarter one goal ahead of Jets with the scoreline 13-12 to the home side. Jo Trip was a standout player in the start of this quarter, asserting her dominance over the Jets goal shooter and preventing an early goal. Fantastic interlink play between Panagarry, Joseph and Lauren Nicholls ensured that Lightning retained their lead. Nicholls performance in the second quarter had marked improvement as she upset Jets’ offensive plays, with Trip causing carnage in the shooting circle. Jets were able to claw their way back up the scoreline after a couple of penalties from the home side and equalised. A confident interception from Panagarry shut down the Jets offensive, and another one from Nicholls straight after highlighted the intensity that the Lightning girls had. With seven minutes to go in the first half, Lightning maintained a three-goal lead to start with. Nicholls was hot on the heels of her opposite player and complimented Trip’s strength at goal keeper. A decisive long ball from Walker to Joseph gave Proscovia ample opportunity to score a goal and maintain Lightning’s two-goal lead in the last five minutes of the half. Lightning came into the second half keen to not only keep their lead over Jets, and hoped to extend it. Kadeen Corbin was brought on at goal attack to replace Walker and her chemistry on the court with both Proscovia and Nicholls was key in Lightning’s offensive plays. Joseph was put under immense pressure by the seemingly rejuvenated Jets side who managed to take the lead for the first time in the game. Jet’s momentum was hindered by their goal shooter being given a warning in the fifth minute of the half as the game once again took a physical turn. Agbeze’s discipline was challenged as the centre third became riddled with contact. Proscovia’s shooting in the second half was critical as Lightning regained the lead and drove it through the third quarter with a three-goal lead. The home crowd’s excitement grew as the game wound on as the Netball Centre filled with noise. A huge charge down by the court where the ball was passed through the hands of every Lightning player was electric as Proscovia scored yet another goal for the home team as they seemed to run away with the lead. In the last two minutes of the third quarter, Lightning enjoyed a steady six-goal lead over Jets. The fourth and final quarter began with no changes for Lightning. The home team certainly put on a show for the huge crowd in the fourth quarter with exhilarating plays between Corbin and Proscovia in Lightning’s offensive plays. Nicholls had a fantastic slap-down interception and managed to intercept again after the ball was returned to Jets. The Jets goal attack and shooter seemed a little lacklustre in their attempts at goal with Trip and Agbeze relentless in their defence. Panagarry had a hugely impressive game, bringing intensity to the court with her fast pace at centre. After a troubling first half of the game where the scoreline rested gingerly with only two goals in it, Lightning took a seven-goal lead over the visiting side with seven minutes to go of the game. Corbin’s determined style of play at goal attack meant that Lightning were able to extend their lead to a ten-goal lead with no signs of stopping. Airey came on for Trip in the 12th minute of the quarter and was able to knock down the ball from Jets shooter and put it away to Agbeze. In the most impressive quarter of Lightning’s season so far, the home team were able to secure their victory over Yorkshire Jets. “Yeah, that’s what we’ve tried to work on all week, a lot of their team unity, their individual work ethic and just resetting a little bit because the last couple of results haven’t been because of lack of team capability or team capability, they just didn’t seem to have fronted up and stepped up when it mattered, so that was important today and we knew it was going to be tough today.